Celebrating the opening of first elecworks™ intelligent electrical design teaching center of Hangzhou-Xiaoshan, China. Trace Software International, leading company in the creation of design software solutions for the electrical engineering, is thrilled to announce that last Wednesday June 14, 2017 the first “elecworks™ intelligent electrical design teaching center” of Hangzhou- Xiaoshan in Zhejiang, province of China, has been inaugurated. The Hangzhou- Xiaoshan Technician Institute will proudly host the first elecworks™ intelligent electrical design teaching center of Zhejiang, province of China. Dr. Pedro Puig, CEO of Trace Software International, said that the choice of the Hangzhou- Xiaoshan Technician Institute as the first elecworks™ intelligent electrical design teaching center, is excellent. They aim to share the advanced experience of western intelligent control and the innovation of technology with teachers and students. The Hangzhou- Xiaoshan Technician Institute has chosen elecworks™ as the most suitable tool for training the future leading generation of electrical engineers. 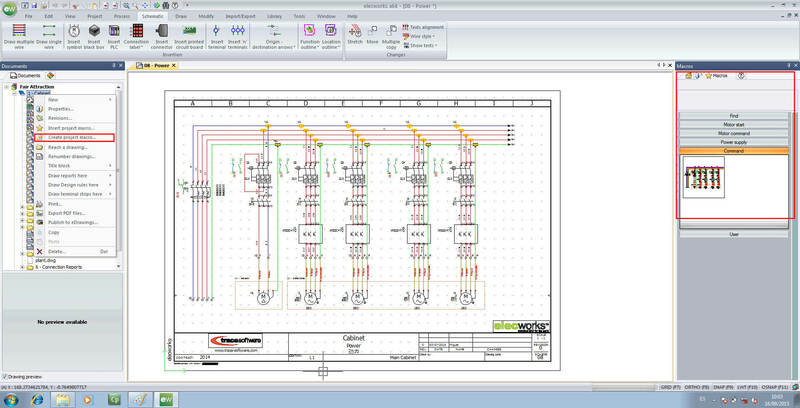 elecworks™ is an electrical CAD system designed for design professionals in engineering. The software is based on a digital model representative database installation or machine. This database allows to work on different views, depending on project needs, while ensuring the integrity of project data. It also allows the simultaneous collaborative work on the same project. Mr. Xuhongping, President of Hangzhou- Xiaoshan Technician Institute and Mr. Wu Hongxia, Vice President have hosted Dr. Pedro PUIG, CEO of Trace Software international and Mr. Rui Wan, General Manager of China. They have been very glad to attend the opening ceremony, all together with the teachers and with the students of the Department of Intelligent Control. The project is very promising; however, these are not Trace Software International’ first steps in the educational field. The first center of China was set up in Tsinghua University since March 2014 after satisfactory tests and validating new 2D and 3D unification options brought by elecworks™ to the electromechanical arena. The Hangzhou- Xiaoshan Technician Institute is the first center in Zhejiang Province. The reason of adopting elecworks™ is that the students here are interested in practice and the teachers prefer to teach as per the requirements of enterprises. Learning by doing is the teaching method for active learning, adopted in the best educational institutions around the world. It is not just a trend, it is a real-life, strategic and favorable simulation- teaching method. Trace Software proposes an Academy Offer available worldwide which is perfectly adaptable to the market ‘needs. elecworks™, already trusted by more than thirty thousand professionals worldwide, can also be used as a strategic tool for teaching purposes. 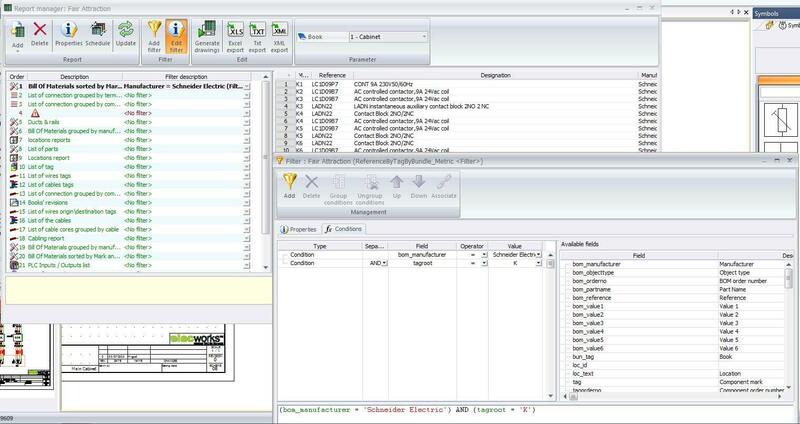 In fact, the software solution offers a hands-on approach, essential to get accurate knowledge of the design process. To facilitate the use of its software range at school, Trace Software International proposes specific licenses allowing easy installations for both teachers and students. https://www.trace-software.com/wp-content/uploads/2017/06/teaching-center-china-en.jpg 300 500 Rossana https://www.trace-software.com/wp-content/uploads/2015/04/logo-home-ts.png Rossana2017-06-20 14:23:222017-06-21 11:25:38Celebrating the opening of first elecworks™ intelligent electrical design teaching center of Hangzhou-Xiaoshan, China. 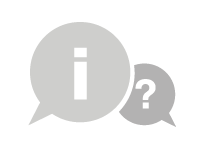 When the project has been finished and manufactured, it is necessary to set it up as: “As built”, in order to avoid update marks automatically. 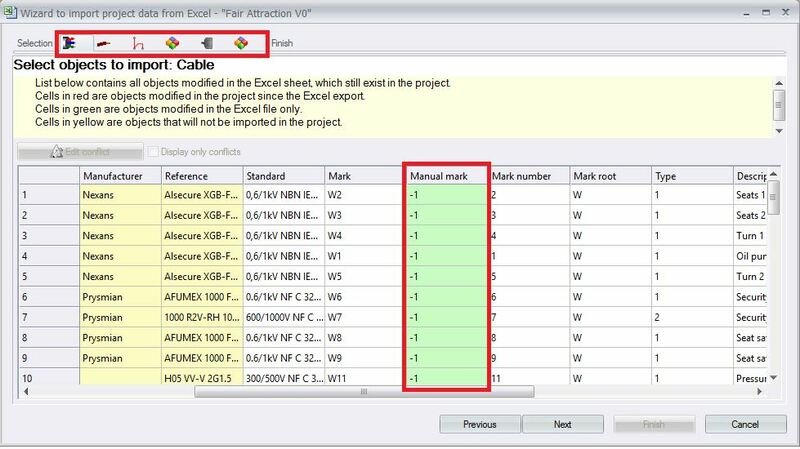 An “as built” project has the feature where all marks are not changed automatically, so the marks should be set in manual mode. 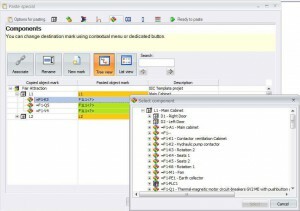 Currently, the only way to do this earlier, was through elecworks interface, by opening the properties of each entity one by one and set up the marking as manual. There is another option, now. 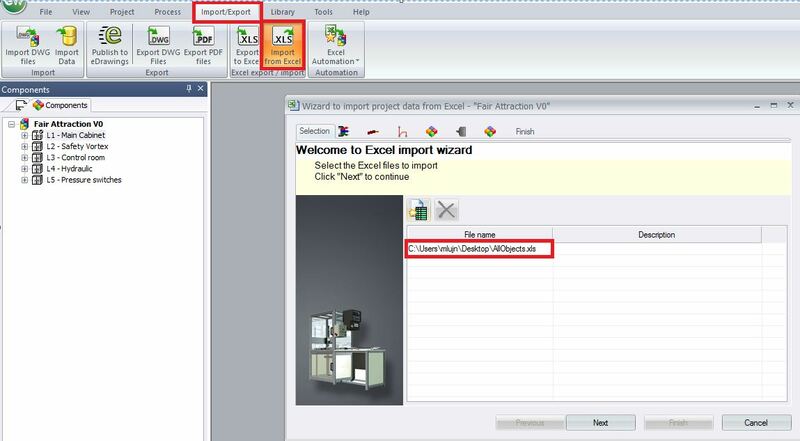 The first step is export the data to Excel file. The template to use will be allobjects.xls. The spreadsheet created will have as many sheets as entities existing in the project. 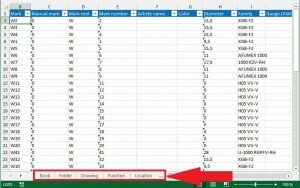 For this tip’s purpose, the field to change will be the manual mark in each sheet. It will be filled with “1” in all rows, in order to change the marking mode from automatic to manual. 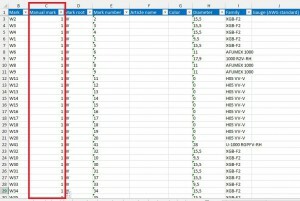 Note: From this excel file the descriptions or marks can be changed too and they will be updated in the project. 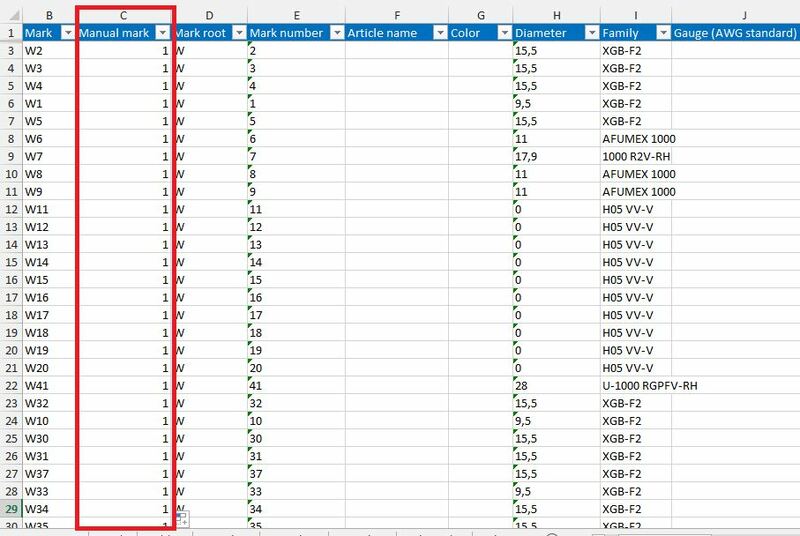 After changes has been done in the Excel file, the final step is to import the spreadsheet back to the project. 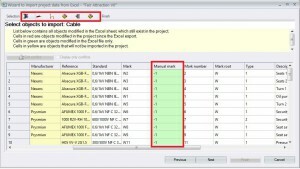 For each type of entity, a tab will be shown with the changes to be done before the excel import to the project. After checking all tabs, the process can be finished. Now, all marks are in manual mode. 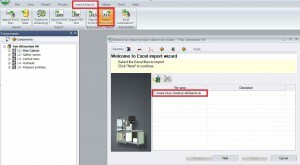 Import, export XLS is a big feature of elecworks but its benefits are not well known for the users. This is just an example about how to set a project in mode “as built” mode automatically, saving time, and avoiding future errors when the project is being reviewed. 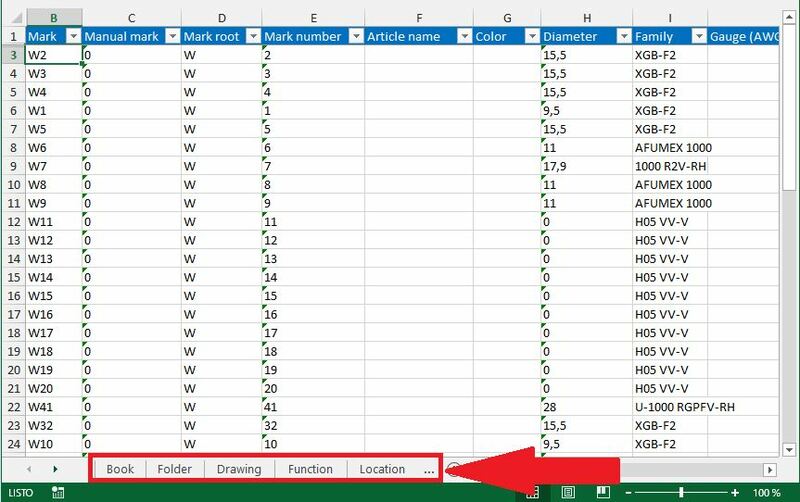 Also, this feature (import- export xls) can be used for change descriptions, user data, marks, etc… in the same way as described in this tip. 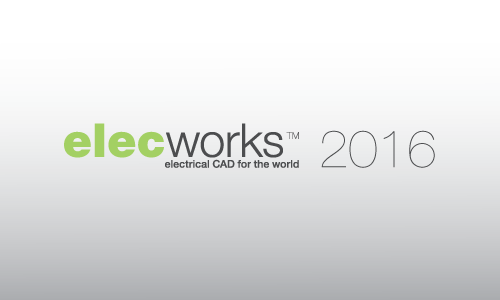 The new release of elecworks 2016, which will be launched during the month of September 2015, includes new and enhanced features in order to increase productivity. These improvements, essentially based on four main areas: agility, automation, standardization and quality improvement, following with the Trace Software International philosophy in developing flexible, intuitive, efficient and optimal solutions. 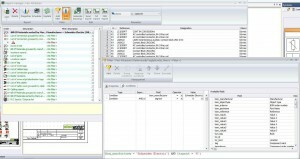 New options such as the enhanced feature of special paste, among other features focused in this section, provides the user to design with greater speed and agility. 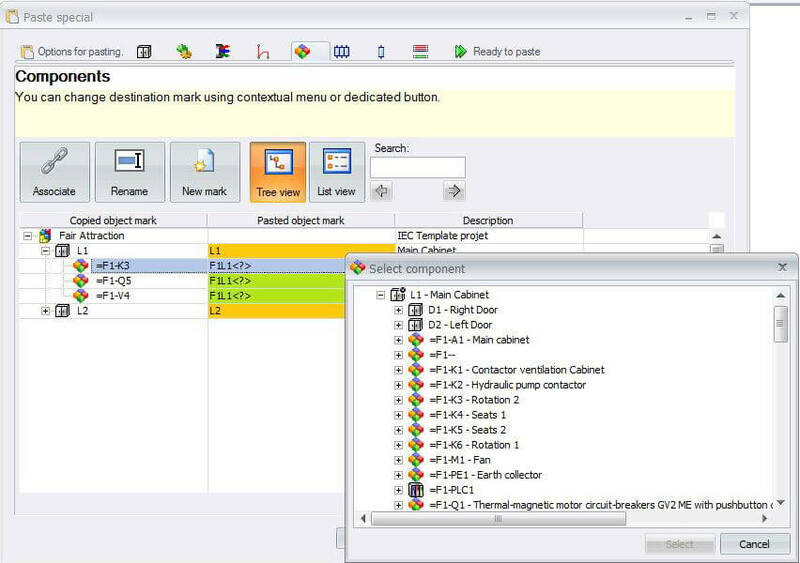 This feature allows different allocation options, from selection of location, function, cables, terminal strips, PLC and components, or wire styles. Options included in this section provide users with greater speed and agility in designing, improving the methodology and project development. 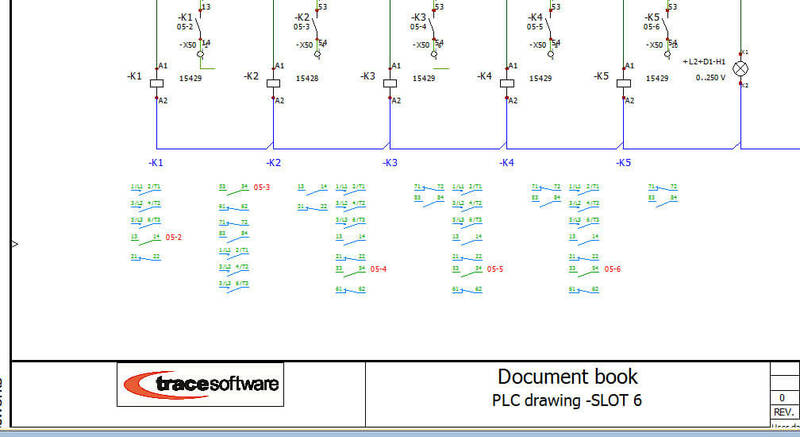 If elecworks already had the option to do custom macros of circuits, in this new version we have added the possibility to save a set of drawings as a macro, a document book or the whole project can be saved for later use inside other projects or books. With the Project Macros, users have a powerful tool for standardization of their projects, based on modular projects creation to facilitate industrialization and application of economies of scale. Thanks to a series of new filters included in the reports area, the user can get more detailed documentation, without the need for long SQL instructions. Showing only the information required in the project documentation. Thus obtaining a more accurate and precise documentation according to the needs of each project. elecworks 2016 includes a graphic cabling order with nodal indicator automatically, without additional documentation, in order to make the physical implementation of the project faster when it should proceed with the manufacturing. It saves time from avoiding consulting different sources of information. 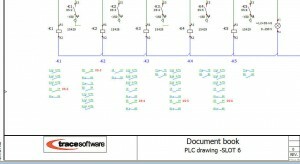 Customers with active subscription can download the new version from the support area of Trace Software. Without subscription? Contact us and benefit from increased productivity.